"I was able to win a few after a while." "After the second atomic bomb was dropped, we were almost sure we were going back to the United States, and we didn't. And we ended up anchored at Enewetak group on Yap Island group on a little island called Maug Maug, which was a recreational island. And we were allowed to get off the boat once a week to go ashore on this recreational island, which had nothing but Coca-Cola stacked up and beer stacked up around a baseball diamond. It was just that large, and we understood that there had been about less than 100 natives on that island that had been taken off and placed elsewhere. And this was to be used as a recreational island for the U.S. Armed Forces. 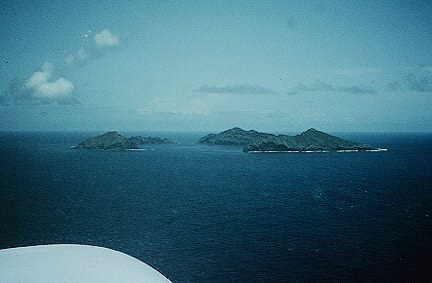 And we anchor off that island for 22 days. And I was on that boat for a total of 65 days. And I stood up to eat three meals a day. And I swore I'd never do it again in my life. But one of the things that -- while we were anchored off that island for 22 days, some men were just stir crazy. And they didn't want to do anything. So I was lucky enough to get off the boat every day, and I was also lucky that I learned to play chess. And I was enthusiastic about it. In over 8,000 troops about 100 of them played chess all day, every day. So I was beaten across the Atlantic into the middle of the Pacific before I started winning, and I was able to win a few after a while." W.A. Scott III, “Waiting for the End of the War,” Georgia Journeys, accessed April 24, 2019, http://georgiajourneys.kennesaw.edu/items/show/345.